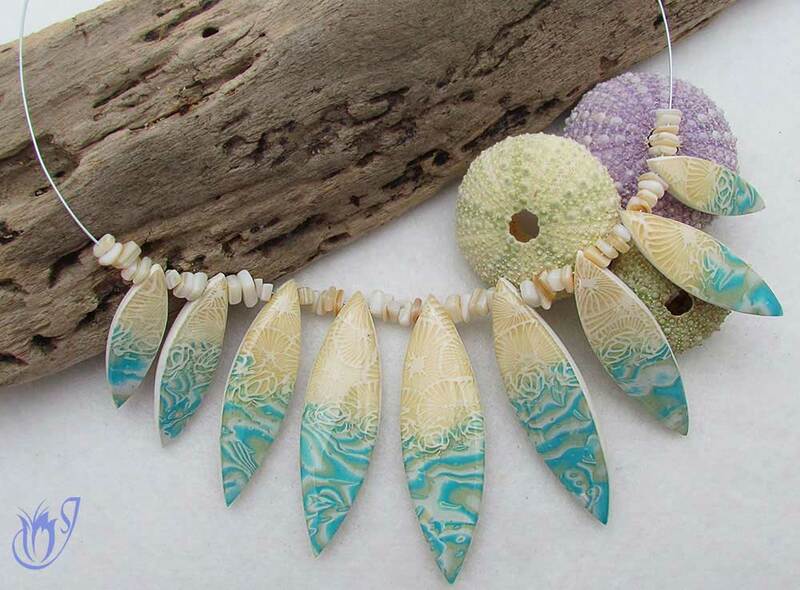 Sealing Polymer Clay - What Works and What Doesn't? Varnishing and sealing polymer clay has to be the most discussed problem in the polymer clay community next to baking. Which one should I use? Which one does what? Where can I buy them? 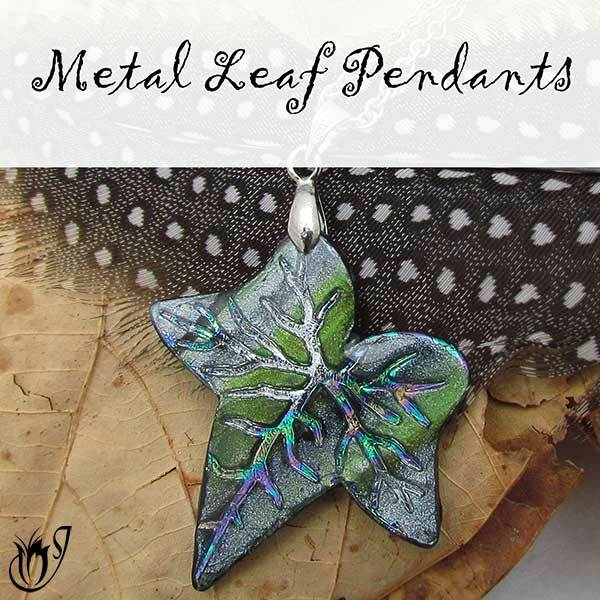 How do I know if my surface effect is going to work with the polymer clay finish I’ve chosen? It’s enough to make you want to tear your hair out. 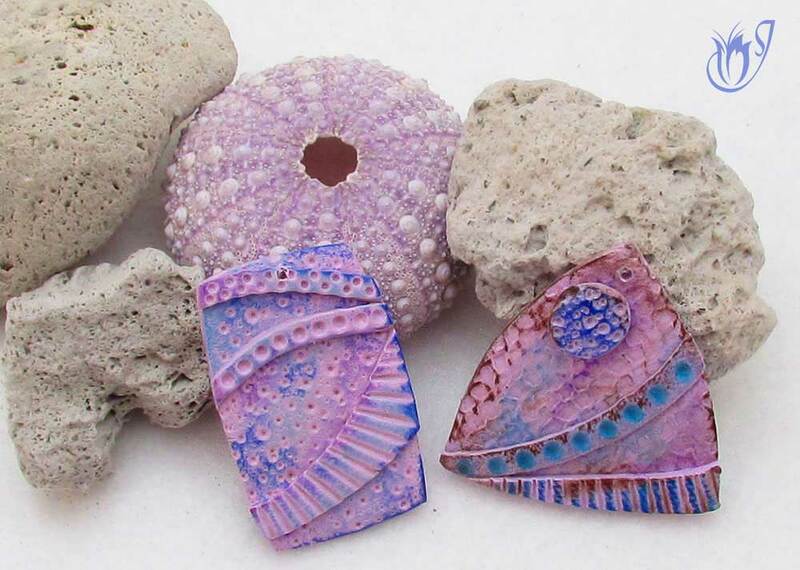 In this article, I'll be going through each of the different types of polymer clay sealers and what they are best used for. In each section, you'll also find links to discussions of my most recommended sealers, and articles that answer some of the common problems that polymer clayers encounter when using them. If you’re still struggling, please don’t hesitate to ask questions in the comments at the end of the page. Do I have to seal polymer clay? The straight forward answer to this is no. You don’t have to seal polymer clay so long as it’s just clay. Sanding and buffing will work just fine, and if done correctly can result in a nice sheen on your work. However, some of the sealers do add their own additional dimension, so they are worth considering even if not necessary. Polymer clay sealants only become necessary when you use other mixed media in addition to polymer clay. Surface effects like gilders paste and mica powder need a seal to last. Without one, they will just get scratched off. 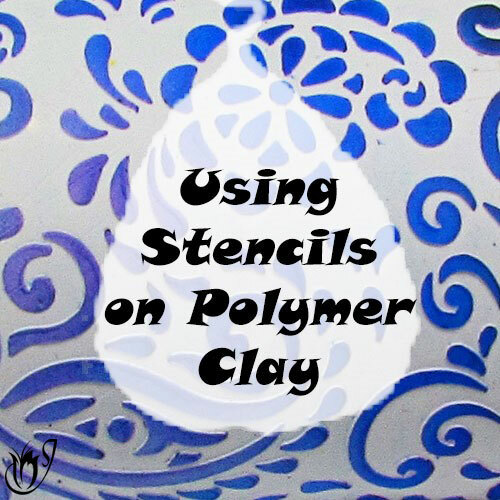 So what's the best way to seal polymer clay? Well, you have a few options that I have listed here. I will be going into the pros and cons of each one below. Resin is my personal favorite. 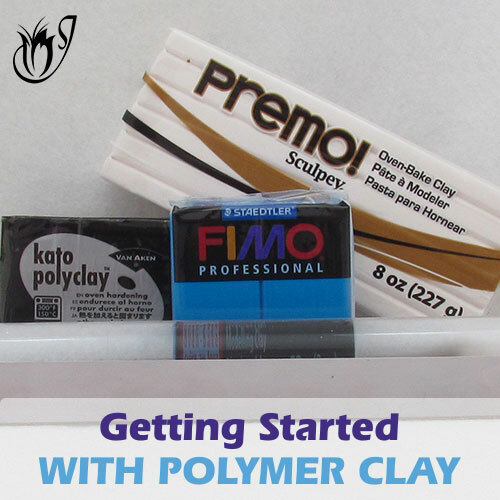 It cures to a glassy, domed finish and will enhance the look of most polymer clay projects. 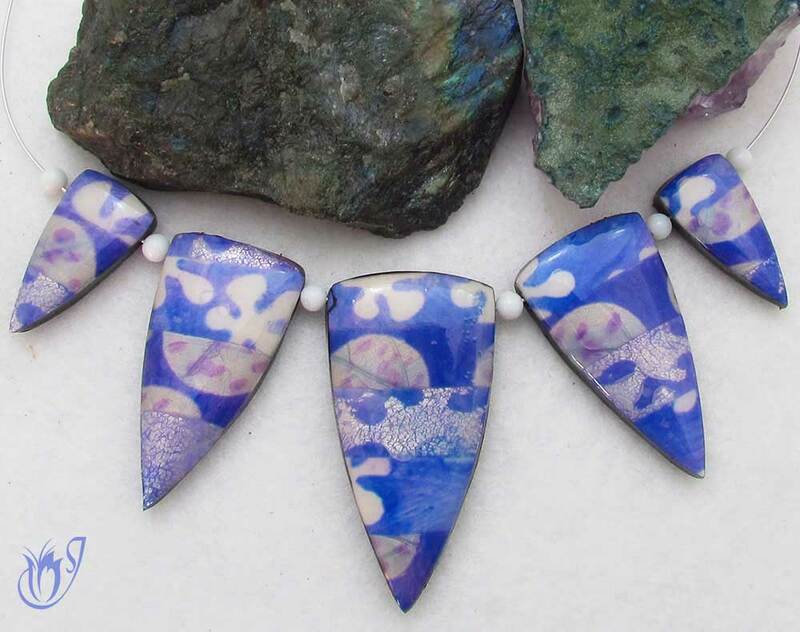 If you’re looking for a finish that will take your beads to the next level, this is the one. 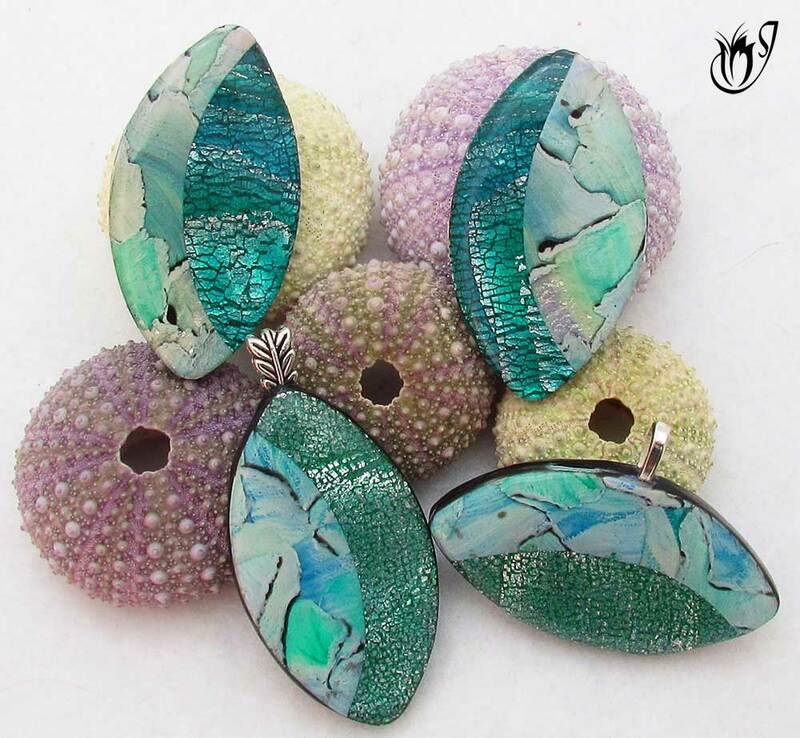 Resin will leave a glassy dome on your bead that gives a look of elegance and class. It is a very strong sealer and will be rock hard to the touch if cured properly. 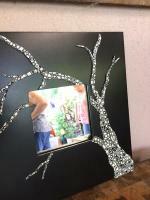 You can use it to add decorative aspects to your work, as well as sealing it. Resin is the least likely of all the polymer clay sealers to react with your polymer clay or mixed media add-ins. The number one problem with resin, is the fact that you can only apply it to flat surfaces or bezels. Domed beads just won’t work. The resin will run right off of them before it dries. Resin is difficult to use when compared to other finishes, especially if it’s a two part resin. Whether it be the measuring, mixing or simply pouring it onto the bead, there’s a lot of room for error. Resin is relatively expensive compared to other polymer clay sealers. Most resins take upwards of 24 hours to fully cure, so patience is required. Gloss varnishes are great for sealing your surface effects. They give a shiny finish and are easy to use. However, they are notorious for reacting with polymer clay and mixed-media, so you have to take care to use the right one. Gloss varnishes are great for sealing surface effects that would otherwise get scratched off or tarnish. They give your beads a flat, glossy finish as long as your bead is smooth. Sanding and buffing are necessary to get the best results from your gloss varnish. Check out my sanding and buffing article for more information. Unlike resin, gloss varnishes can be applied to any shape of bead whether that be a dome, concave or flat. They are easy to use. Just apply them with a brush. You have to be really careful to sand away any fingerprints or scratch marks. 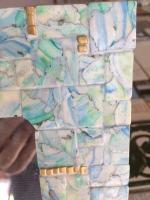 Any texture on your bead will be highlighted by the varnish and will become bolder than without it. Although gloss varnishes are excellent sealers for surface effects, many are incompatible with mixed media. 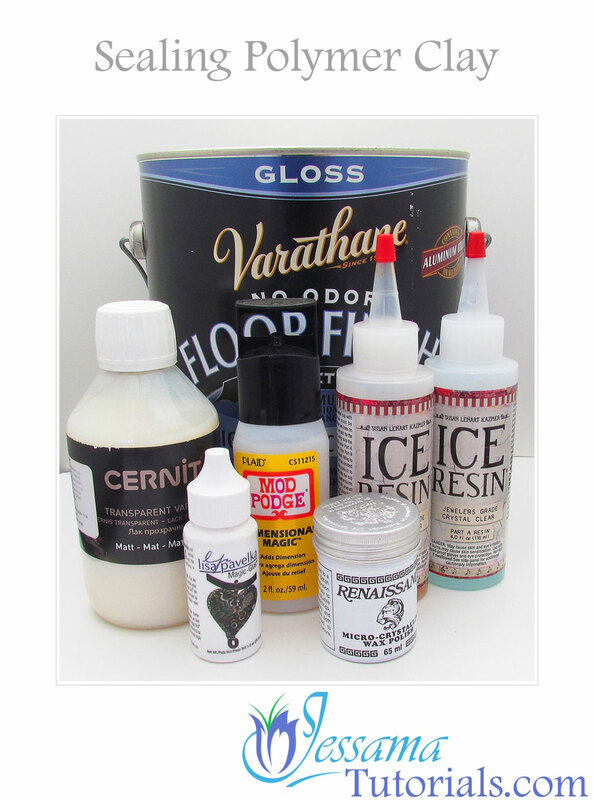 Your varnish can react to things like gilders paste and alcohol inks and even the polymer clay itself. It’s always best to test before applying a new varnish. Matte varnish is another polymer clay sealer that is good for protecting surface effects. Unlike resin or gloss varnish, it gives your work a natural, almost invisible, matte finish. 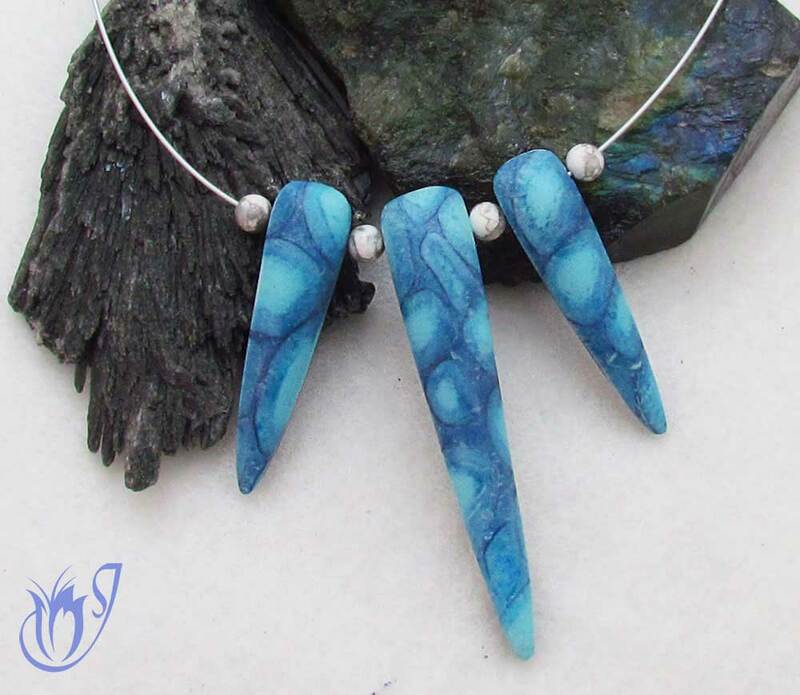 Matte varnishes are great if you want a natural look on your beads. Use them with any flat, domed, curved or hollow bead you wish to varnish with a thin protective coat. They’re really easy to use. Just like a gloss varnish, the matte varnish will bring out any imperfections in your polymer clay project. You have to make sure to sand away fingerprints and bumps carefully before applying it. Matte varnishes have particles in them that create the matte finish. These will sink to the bottom of the pot over time, so you need to stir the bottle before use otherwise you could come out with a glossy finish. Matte varnishes will dull your colors slightly, so be sure to keep this in mind while creating your design. They are generally more expensive than the gloss varnishes and take longer to dry. 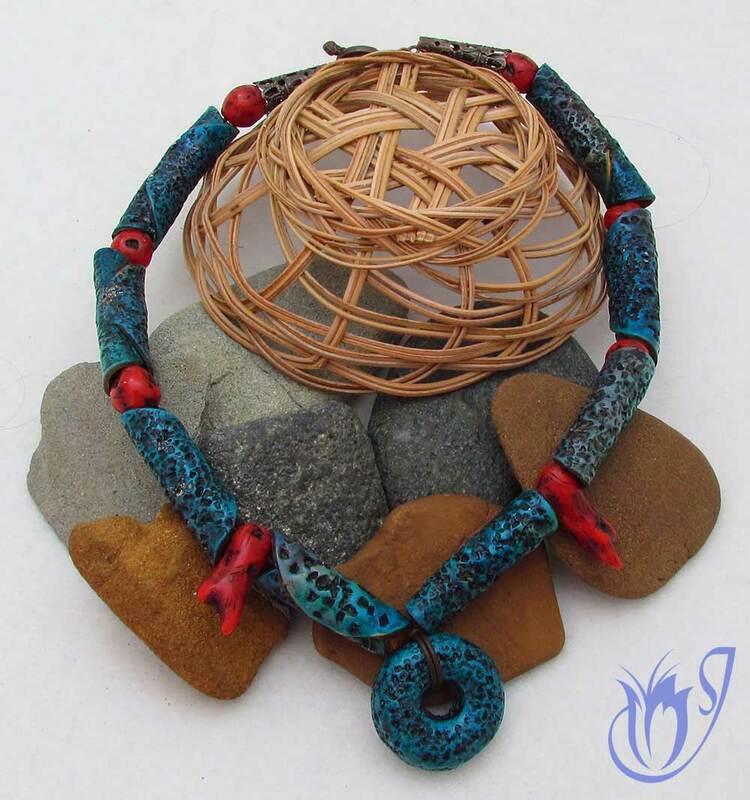 Sealing polymer clay with wax is quick, and simple, and when done properly can look wonderful. It will give your work a beautiful sheen rather than a shiny finish. Wax is the best polymer clay sealer to use if you want to perfectly maintain the texture of your work. If you’ve sanded and buffed your bead, the wax will give a wonderfully warm sheen. If you don’t sand and buff, it will give a more matte finish. It will enrich your colors and make them appear deeper and more saturated. Wax is really easy to use. You just have to brush it onto your baked polymer clay and buff by hand or machine. You’ll be surprised how easy it is. It is relatively inexpensive and it goes a really long way. Click to go to this project tutorial available on my Etsy shop. You need to get rid of fingerprints or scratches before applying the wax. Just like the gloss and matte varnishes, the wax will highlight your bead's imperfections. So check for problems before putting the wax on. I’ve found that waxes tend to have a really strong smell compared to most other sealers and it can take some getting used to. Working with a window open, or a fan going, can reduce the problem. Now for liquid clay as a polymer sealer. In my opinion it’s the worst way of sealing polymer clay, however, there are some instances where it is useful. It gives a semi-gloss to matte finish depending on the brand. It’s compatible with anything normal polymer clay is compatible with. It's good for sealing surface effects before applying a wax or varnish coating, because it eliminates the chance of your wax or varnish reacting with your mixed media. It can be used for many things other than as a sealer, so it's a supply that you should have in your cupboard anyway. Liquid clay is quite expensive when compared to other polymer clay sealers. It’s not easy to use. You have to fiddle with higher oven temperatures and will need a heat gun to get the liquid clay to its full clarity. This means you run the risk of burning your underlying clay. If you put too much on, it will be cloudy no matter what, and you’ll have ruined your work. It doesn’t give a great finish considering all the hassle. Liquid clay gives a semi-gloss to matte finish depending on what brand you use. There are other sealers that can achieve these looks at a fraction of the price and come out looking better. Resin - Gives a glass-like, professional looking domed finish. Takes a while to learn how to use it properly and one of the more expensive polymer clay sealers. My opinion? Well-worth the effort and expense. I use this on most of my flat pendants where I want a shiny finish. Gloss Varnish - Gives a shiny finish. Inexpensive and easy to use. I prefer resin, but I use this on my domed beads with surface effects if I want a shiny finish. Matte Varnish - Gives a natural, matte finish. A little more expensive, but also easy to use. I use this on any projects where I have surface effects and want a natural finish. Wax - Gives anything from a warm sheen to a natural, matte finish, depending on the texture of your bead. Inexpensive and easy to use. I use this on any beads which don't have surface effects and where I don't want the glassy effect of resin. Liquid clay - Gives a semi-gloss to matte finish, depending on the brand. Pricey and comes with quite a learning curve. My opinion? Not worth the hassle, unless you want to seal a surface effect before applying a wax or varnish. 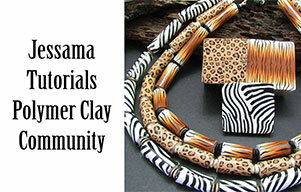 Sealing polymer clay is not one of the most discussed topics in the polymer clay community for nothing. Between reactive varnishes and the number of choices available, it can be a bit of a minefield, especially for the polymer clay beginner. 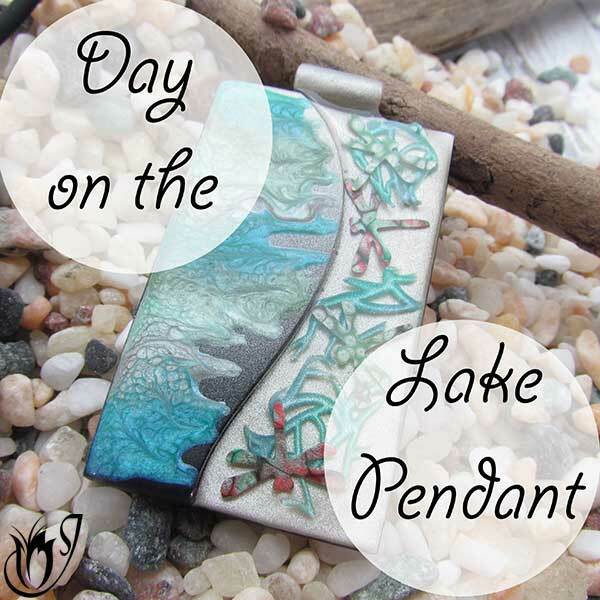 The best approach would be to decide which finish you desire (check the summary above for a quick rundown) and then have a look at the recommended list, as well as the question and answer article relevant to that polymer clay sealer. I've linked them all below. Hopefully, that will save you some time and trouble. Please like and share with your friends if you find it useful. If you still have questions about sealing polymer clay, or if I’ve missed anything, please let me know in the comments and if you have a varnish recommendation that I can add to the list I am putting together, please add that too. The more we can add, the more people all around the world will be able to find what they need. Which Gloss Polymer Clay Varnish Should I Use? Which Matte Polymer Clay Varnish Should I Use?